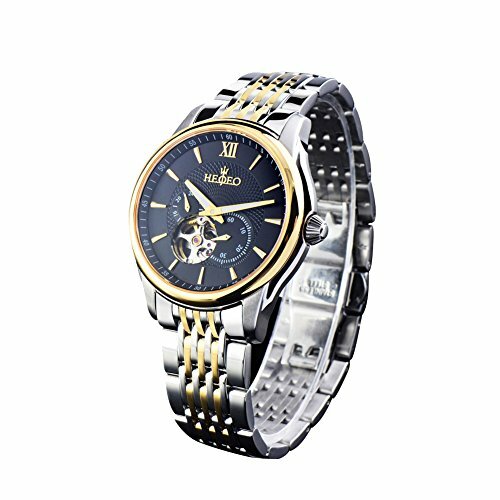 HEOJEO design concept: in addition to watch the pursuit of excellent quality, we also pay attention to the spiritual significance of watches conveys, hope everyone who takes our watch , is not only have adornment effect, but also have the embodiment of an inner quality. • Classic Business Casual Design. Combines quality, leading edge fashion, and value. • Please do not wear this watch when diving. Also avoid the use in extreme hot or cold temperature. The product made of high quality 316L stainless steel.The mirror surface material is sapphire glass,wear-resisting and mar-proof.The bearing is made of 21 ruby. Package including:watches x 1,exquisite gift box, instruction manual, Wipe cloth, adjusting watchband tools. If you have any questions about this product by HEOJEO, contact us by completing and submitting the form below. If you are looking for a specif part number, please include it with your message.